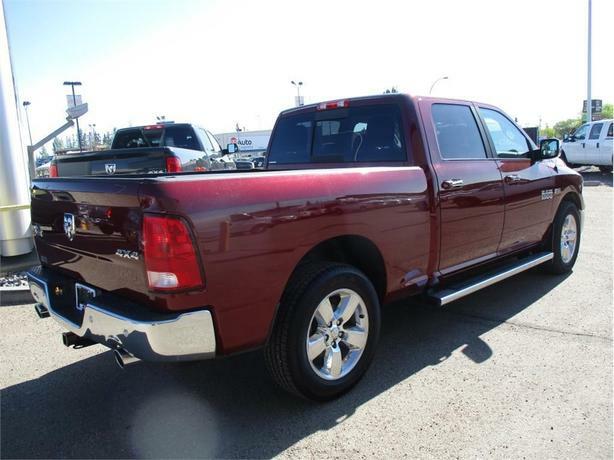 Are you seeking a light-duty pickup with ingenious outside-the-box thinking? 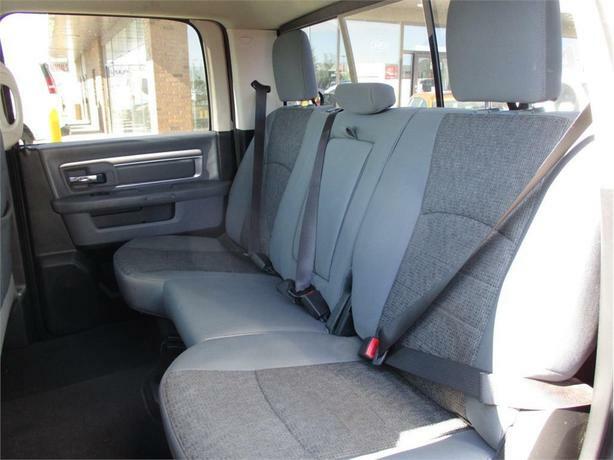 This one has a unique coil-spring rear suspension offering a smooth ride when the cargo box is unloaded. 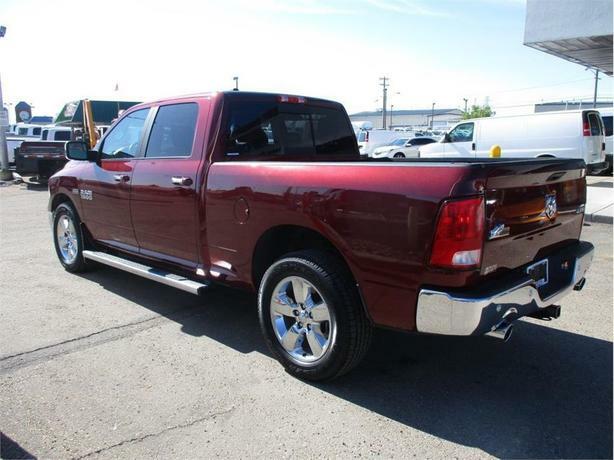 As a great choice for a do-all truck, it comes with a 149-inch wheelbase, 6.3-foot medium box, 8-speed TorqueFlite automatic transmission, 3.92 rear axle ratio, rear camera, remote start system, trailer brake control, Class IV trailer hitch receiver, 121-litre fuel tank, Park-Sense front/rear park assist system, 160-amp alternator, block heater, four-wheel drive, HD shock absorbers, auto locking hubs, steel spare wheel, deep tinted glass, bright tubular side steps, tailgate rear cargo access, power door locks, fog lamps, UConnect 3C with 8.4-inch display, power rear windows, manual air-conditioning, two 12V DC power outlets, and 5.7-litre Hemi V8 with FuelSaver MDS providing 395 horsepower and 410 lb-ft of torque. 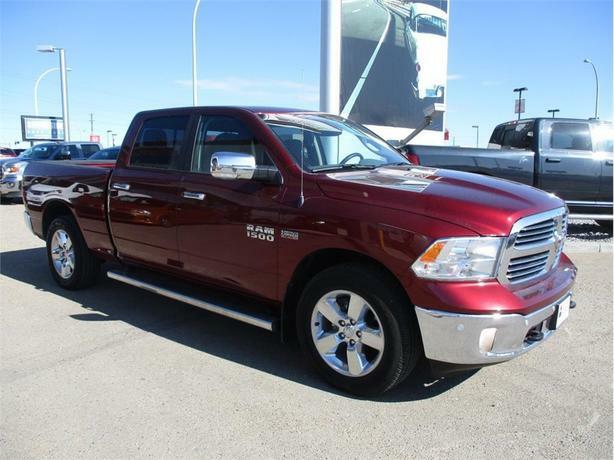 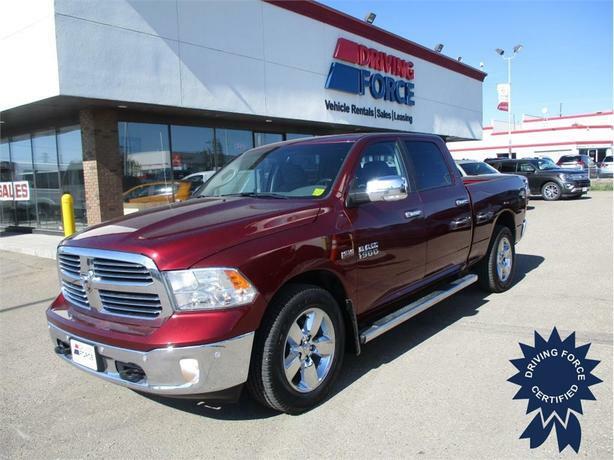 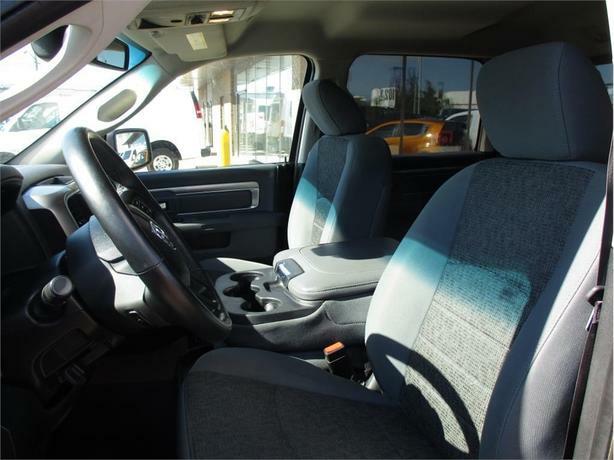 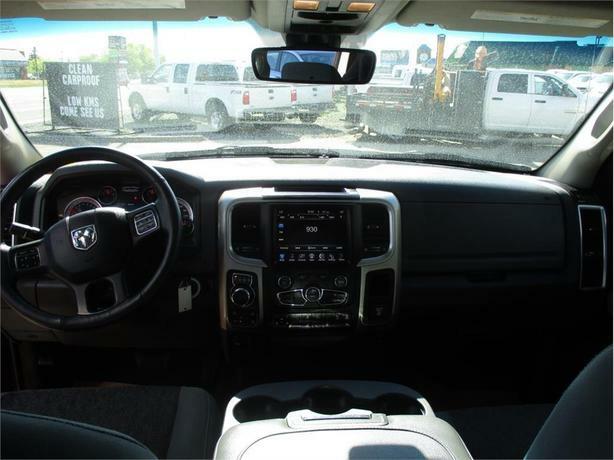 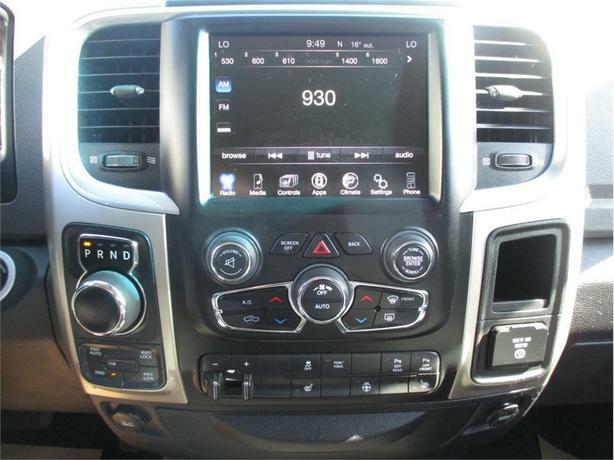 With so much more to explore this attractive and practical all-around truck, come pay us a visit and take this one for a test drive with one of our knowledgeable used vehicle consultants.